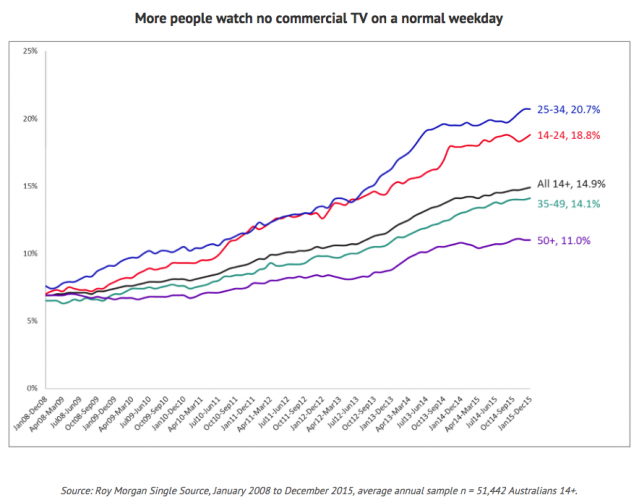 One in seven people don’t tune into commercial TV during the weekday, says Roy Morgan. Findings from the research company claim seven years ago it was just 6.9 per cent of Aussies who turned their eyes away from the telly, but now that’s more than doubled to 14.9 per cent. And the gap is widening, says Roy Morgan, particularly with 14-34 year-olds. 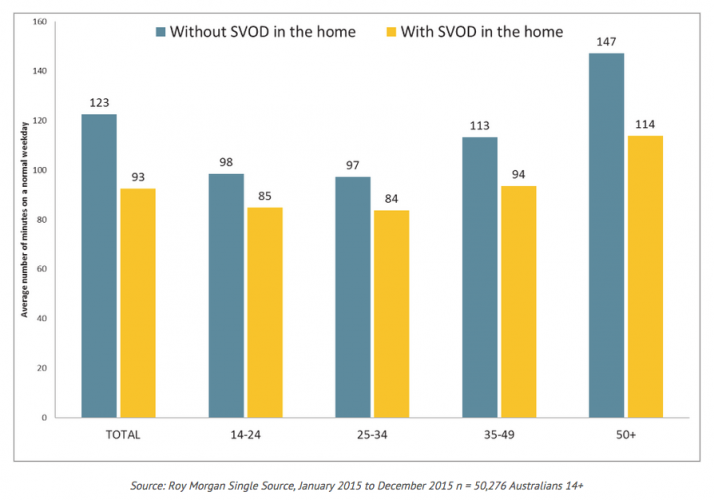 “Commercial TV is now unable to reach around a fifth of all 14-34 year-olds, and the trend looks set to continue,” said Tim Martin, general manager of media at Roy Morgan. “In another seven years, it might well be a third. Already the very idea of ‘seeing what’s on TV’ at a particular time is beginning to seem a little archaic next to the massive libraries of niche, personally appealing content ready—by definition—on demand. It’s a tough pill to swallow for the networks as the rise of streaming services such as Netflix have upped the competition. Unsurprisingly, those with an SVOD (subscription video on demand) in their house watched less commercial TV than those who didn’t. “Nine’s Stan and Seven’s Presto lag well behind Netflix in the SVOD market,” added Martin. Nevertheless, the research company pointed out that it still means the commercial networks are reaching the majority of the population.